The first site for the testing and development of unmanned vehicles has opened in the Russian capital, the government of Moscow said in a statement Wednesday. MOSCOW (Sputnik) – The new testing area in Moscow's "Kalibr" center for technology allows for tests of unmanned cars and buses to be conducted on a 1,300-foot long track that recreates an urban environment by having bus stops, crosswalks, road signs and markings, and a roundabout, according to the statement. "It is important for the companies developing unmanned vehicles to have the infrastructure allowing to test vehicles and 'teach' them. In order to contribute to the work of the technology park's residents a special experimental ground was created which is used for testing unmanned vehicles," the press service of the Moscow Department of Science, Industrial Policy and Entrepreneurship was quoted as saying in the statement. The testing of unmanned vehicles on the new site has already commenced. Those working at or using the technology park have participated in the construction of four self-driving buses for a major Russian machine-building company. The testing area will be used not only by the so-called residents of the technology center, but also by students and graduate students of Moscow's technical universities. The students will have an opportunity to test their own prototypes of unmanned cars. Opened in 2015, the Kalibr technology center specializes in the spheres of information technology, telecommunication and media technology, instrument manufacture, and unmanned transport. 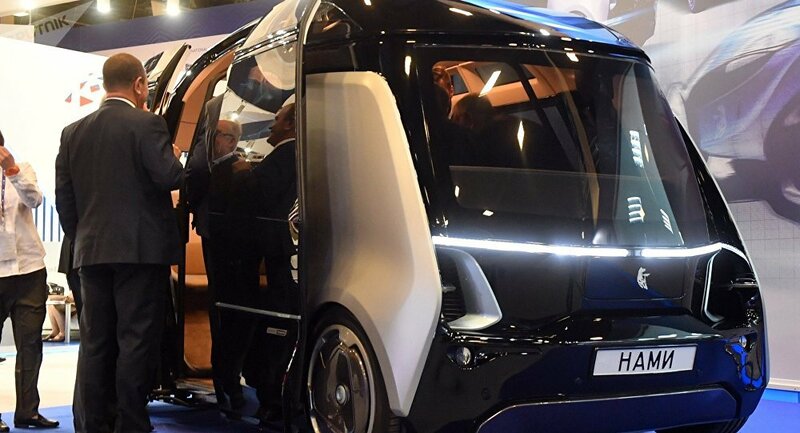 Autonomous buses are already operating in a "test mode" in several cities outside Russia, including Wageningen, a town in the central Netherlands, in Switzerland's Lausanne, and in Zhengzhou, a city in east-central China.